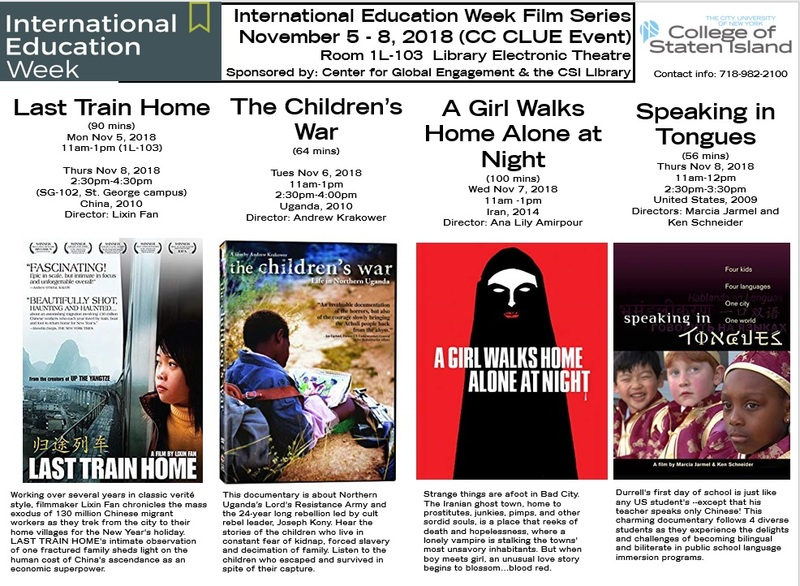 International Education Week (IEW) will be celebrated one week early at the CSI Library (Monday Nov 5, 2018 through Thursday Nov 8, 2018). Come see 4 compelling films! Our annual film series screenings will be held at both the main campus and the St. George campus. The film screenings will be held in room 1L-103 (Library Electronic Theater) at 11am for our morning screenings and at 2:30pm for our afternoon screenings. All film screenings receive CC CLUE credit.